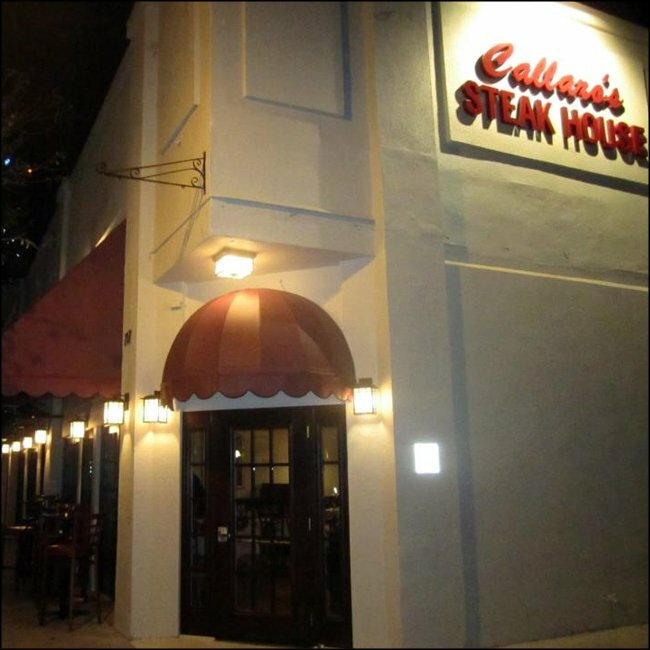 Callaro’s Steak House in downtown Lake Worth is the brainchild of Danny Callaro (longtime owner of the award-winning Riggins Crab House) and Keith and Beth Scragg. They first opened their doors in Manalapan and enjoyed a 10-year run before relocating, and since both families live in Lake Worth, the move was a true homecoming. Completely restoring the former L’Anjou building, they remained true to its historic roots while updating the décor. The ambience is elegant and hip, but never pretentious. Lunch and dinner are served daily, and brunch is available every Sunday.